Polyurethane Dampening Pads – Impact Resistant! Polyurethane Dampening Pads manufactured by Plan Tech are engineered to resist abrasion and impact for a variety of applications. We have them available in different shapes, sizes, and colors. Our team of engineers apply strict quality control processes that make use of the latest technology to monitor our polyurethane damping pads at every stage of the production process. Most importantly we manufacture our polyurethane dampening Pads under strict confidentiality agreements with our clients, respecting any and all patents on the products they have designed and given us the opportunity to produce. Over the years, customers have continuously praised us about the quality of our polyurethane dampening pads as is the case with every other urethane product manufactured at in our state of the art in-house machine shop that is richly equipped with world class machinery. Plan Tech’s polyurethane dampening pads also stand out from those of other brands in the sector due to their excellent durability. In other words, our polyurethane damping pads are capable of maintaining their maximum efficiency even after long years of service. Therefore, bring your polyurethane dampening pads project to Plan Tech and let us wow you with our remarkable technical skills. A large number of industries make use of this material. It can be said that the construction industry is one of the biggest beneficiaries of urethane parts. The custom urethane parts are applied in the production of hammers, power tools, mallets (a type of hammer that is often made of rubber) and much more. The characteristics of these urethane parts that make them highly useful in this industry are resistant to abrasion, tear, oil, and impact, etc. 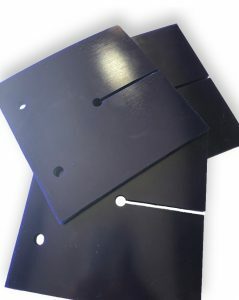 Are you interested in cast polyurethane dampening pads? Please Contact us so we can help solve your requirements and work with you on your specific application!